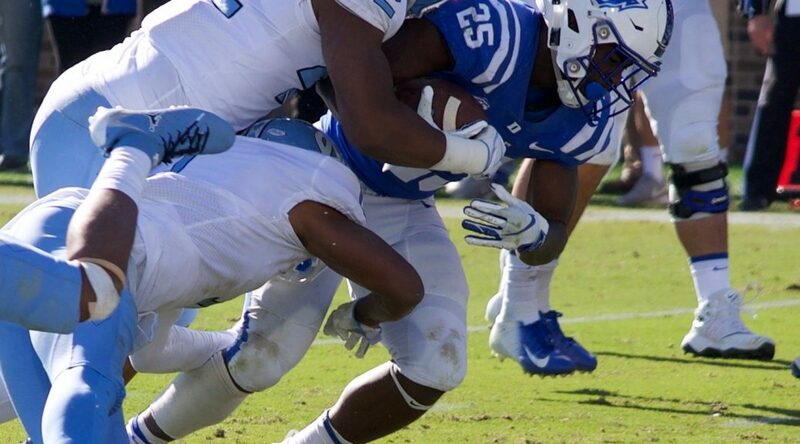 The Duke Blue Devils defeated their archrival, North Carolina 42-35 to go 7-3 on the season. This was the third consecutive victory in the series for the Blue Devils. Duke retained the Victory Bell via its offensive output while earning its fifth winning season in the last six seasons. "Right now we keep the Victory Bell down there next to the locker room so it is fun to see that every day and do so for another year," said, Duke quarterback Daniel Jones. Daniel Jones led Duke with a record-breaking performance. Jones threw for 361 yards and 3 touchdowns while adding another 186 yards rushing and a touchdown on the ground which was a career high as well. The total of 547 yards for Jones set an all-time Duke single-game record previously held by Anthony Dilweg. Despite the win with several key personell out, Duke suffered another loss. All ACC candidate and secondary team lead Dylan Singleton is out for the season per David Cutcliffe and will have surgery this week and will DL Ben Frye. Duke rolled up 629 yards of offense and that translated into a huge first half. 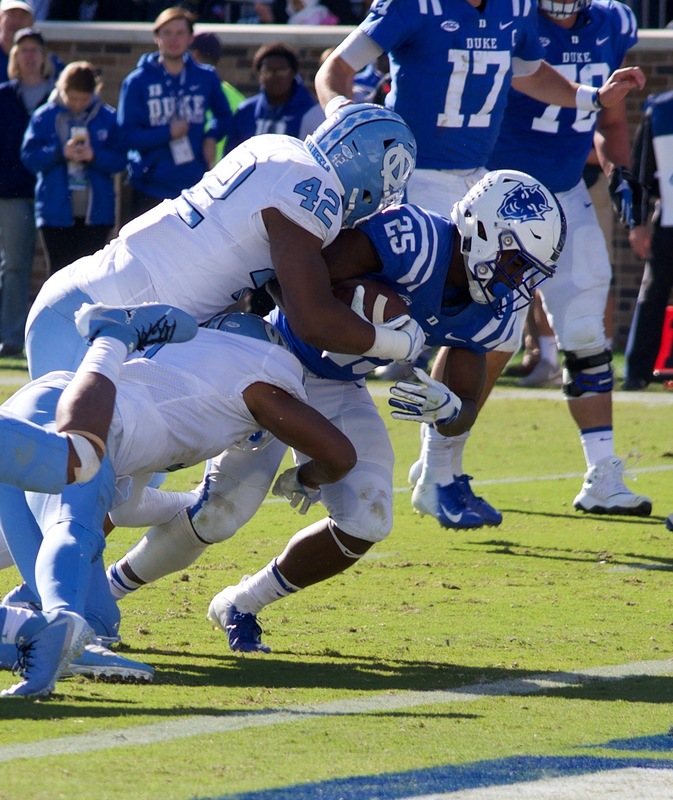 The defense stood tall in the second half and only allowed a late, desperation Tar Heel score. The Blue Devils must now travel to Death Valley minus several starters for a game with the nations 2nd ranked team, Clemson.